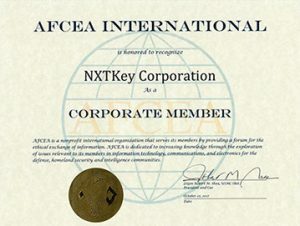 NXTKey leadership comprises of professionals with vast experience in government and commercial projects. NXTKey is led by its Founder Shivaji Sengupta who has over 25 years of experience globally managing technology-oriented business. Mr. Sengupta has worked with wide-ranging enterprise level applications including helping government / public sector and corporate enterprises with their Business Strategy, Technology Consulting, Business Process Management, Global Delivery, Sales and CRM, Enterprise Resource Management, Digital Product Development, Enterprise Content Management, Document Management Strategy among other applications. Mr. Sengupta has worked in senior management positions in leading companies like SourceHOV, Aptara Inc., Mindtree, Vitage Systems etc over his 25 years of experience. Mr Sengupta has a Bachelors Degree in Electronics from Bangalore University, India and a Masters Degree from Lund University, Sweden. Mrs. Sengupta is an operations leader with 20 years experience managing large programs and projects for US Companies. As part of that experience, she has a clear understanding of the various US based laws around information, treatment, disclosure, coding, billing, adjudication, confidentiality among others. Capability to engage in strategic dialogue and planning with the patience to execute the work required at very tactical levels. Direct experience engaging with senior level customers in a manner that instills well-earned confidence in the firm’s ability to execute within or exceed expectations within service level agreements. Firm grasp of North American labor laws both academically and in practice. Clear understanding and previous experience with US based regulations like HIPAA and FCPA. 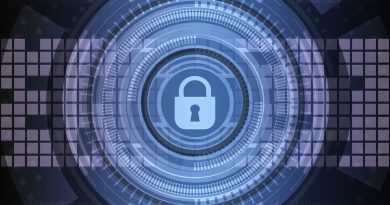 Mr. Tanner, Certified Protection Professional (CPP) and Certified Information Security Manager (CISM) is an experienced protection executive with a wide range of experience in law enforcement, intelligence, and business. During a 23 year career as a Special Agent of the Federal Bureau of Investigation (FBI), he established the Office of the CIO and led significant intelligence task forces and operations. In business, he has held director and executive level positions in small, medium, and large companies. His abilities to consistently apply initiative and innovation in multiple environments, build consensus on common goals and objectives and execute plans to establish and grow new business areas, allow him to provide unparalleled expertise to all of his clients. He has managed security tasks such as continuity of operations and information security assessments, implementations and audits of NIST Special Publications 800-53 and 800-171 for information security and ISO certification for 9001 (Quality Management), 20000 (IT Services Management), and 27001 (Information Security Management). He also serves as Sector Chief Chair for the FBI’s InfraGard, National Capital Region Members Alliance. Mr. Tanner holds an accounting degree from East Carolina University. Federal Computer Week magazine recognized and highlighted Mr. Tanner as one of the ten “new IT leaders” in the federal government, and he was a finalist for the Citigroup Smith Barney CIO of the Year Award.